Piggy's Revenge : We are riding the trails again ! We are riding the trails again ! 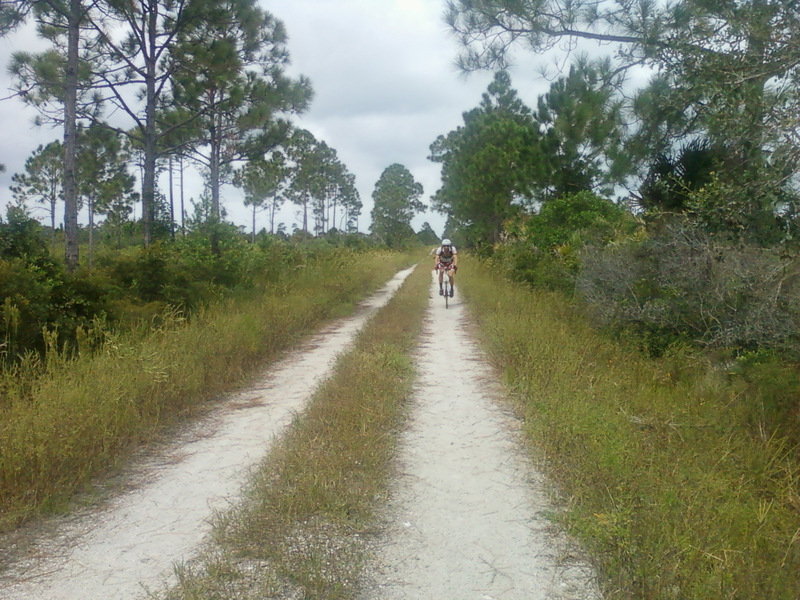 These last two week-ends, I have begun riding the trails around the Carlton Tract. There is still a lot of standing water. The recent rains from the two tropical storms have flooded a large part of the wilderness area. The deer are out in great numbers, however, fewer pigs were seen. This year, I will try and pick the best trails to form the loops. The goal is to avoid the very sandy or plowed trails we rode last year. Right now, I think I have a rough idea on how to connect the hardest trails, including some single track and some road and the majority will be gravel (80% or more). A cyclocross bike would work great on the gravel but would be a little bit of a challenge to ride on the single track section. I might include several creek crossings and some fence jumping though still to be determined.Watch out for the jumping deer .More to come soon .